Luminous Producitons, the newly announced Square Enix studio headed up by Hajime Tabata, isn’t only doing big-time games. As you can see on this preview of an NHK program, it’s also doing CG for television. 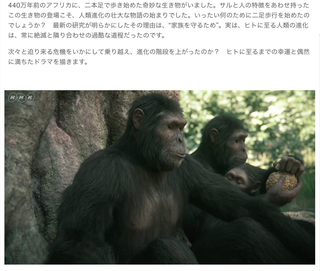 Here, the CG is used to show how humans evolved.